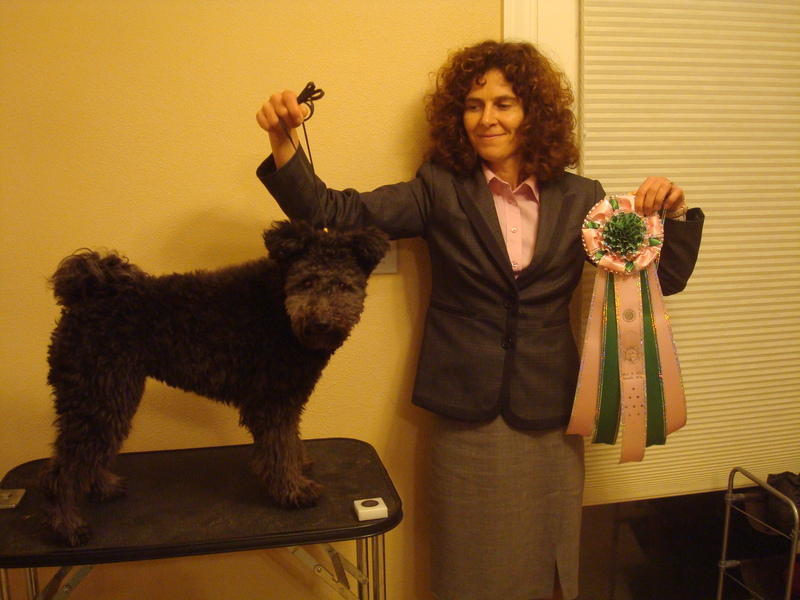 Knixa wins Best in Miscellaneous at Seattle Kennel Club 2013. Earlier in the morning Knixa got her 3rd qualifying score to achieve her Novice Rally Obedience title – not too bad for a nine-month-old who earned 2 of the legs in the stressful atmosphere of the biggest shows in the NW. We’ll continue to perfect our heel work on leash and dealing with distractions by working on our Beginner Novice Obedience title next.